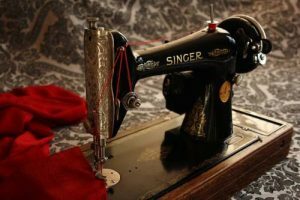 Home / Vintage Sewing Machine / How Much is a Vintage Sewing Machine Worth? How Much is a Vintage Sewing Machine Worth? I’m often contacted by folks that are looking for a free appraisal of an old sewing machine. Although I don’t offer that service, I have written this article to help people understand the process better. 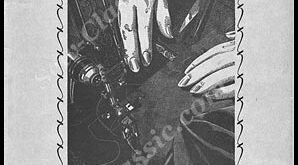 Vintage sewing machine values/ prices are all over the map, and this article will highlight the variables that affect selling price and in turn, explain the wide range of prices. There are essentially six factors to consider when trying to determine the value of a sewing machine. What is the make and model of the machine? What is the overall quality of the machine and it’s features? What is included with it, and what is the market desirability of this machine? What is the cosmetic and mechanical condition of the machine and included items? Where is the item being sold? Think of the number of potential buyers the offering will reach. Machines sold locally at garage sales and such will generally fetch less than on eBay, because fewer people are exposed to it. So, you can’t reliably use eBay prices to determine how much to sell a machine for at a garage sale. Think lower, much lower. When looking at eBay prices, you need to consider the final selling prices of completed auctions, not the asking prices on active listings. Believe it or not, I’ve had many listing sell for MORE than what I was asking as a buy-it-now price, and I have seen many items that didn’t sell at all. I tend to use a very low reserve price, so my machines always sell when they are listed on eBay. This is somewhat related to the previous step. How will it be marketed? Is the seller knowledgeable about the machine? If listing it on eBay, is there a thorough, in-depth, accurate description and many, professional looking photographs? If so, then than the item will fetch more than one with poor snapshots and a limited description. Can the seller answer in depth, technical questions about the item? This will affect the final bid price as well. Has the item been properly cleaned, checked, completely tested, serviced, etc?? Does the seller guarantee the machine and allow returns? Is the seller feedback and DSR ratings high? If the answer is no to any of these questions, the price drops. Why do you want to know the value? There are many types of value. Sewing machines have sentimental value, utilitarian value, decorative value and some have collectible value. If the machine is special to you, that won’t translate into dollars or add any value to the general public. If you want to know what you can get for it on eBay or some other venue, the best way to find out is to list it. Who is selling it and who is buying it? A machine sold by a reputable dealer or re-seller with a well regarded reputation will garner more dollars than a one time sale from an individual. Are you selling it to a close friend? If you’re like me, you tend to give things away under those circumstances. I try not to mix too much business into close, personal relationships, so for me this would drop the price WAY down. Perhaps the friend could offer some service or other item for the machine as an expression of their appreciation. There are also buyers that are looking for the cheapest machine possible, even if it requires significant repair and means that they will spend weeks, months or even years driving around hunting for it. Other buyers will pay extra for a guaranteed refurbished machine safely delivered to their door, ready to use and enjoy. They prefer to let someone else schlep around and take care all the repairs. Buying a vintage sewing Machines listed on eBay, just prior to Christmas have the best shot at getting a higher price. Other factors will still play into the equation (see above), but timing can sometimes make an impact. The market can be fickle for other unknown reasons. I have the exact same make and model in similar condition with similar extras sell for $450 to $900 on eBay auctions. Weird, huh? So, how do I determine the price of my Sew-Classic machines that I list on my site? I start with what similar Sew-Classic machines have sold for in the past at auction on eBay and then knock off a chunk. From a purely business perspective, my system probably stinks. I’ve had several machines not sell on my site after being listed for a couple of weeks and then get listed on eBay. The VAST majority of the time, they sell for much more on eBay then the direct sale price from my site. But I find eBay to be so impersonal, and it doesn’t allow me the same opportunity to provide pre-sales support and guidance that I can with my website.